Did you know that apples contain antioxidants? Antioxidants are compounds that are disease fighting and are beneficial for everyone to eat. Many scientists believe that the compounds found in apples can help prevent new damage and repair oxidation damage that happens to cells during normal activity. There is also a lot of fiber in apples, which is called pectin. 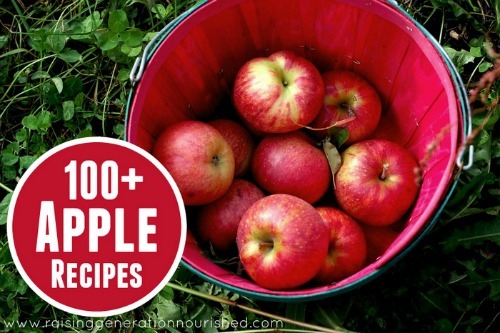 An apple will contain, on average, approximately 4 grams of pectin in a typical medium-sized apple. The pectin is a viscous, soluble, and fermentable fiber that lends itself to a long list of various health benefits. Let’s take a quick look at just a few of these benefits. A study done on mice has shown that just drinking pure apple juice could help fight the effects that Alzheimer’s disease has on the brain. The study also revealed what happened when they fed the mice a diet enhanced with apples. They found that those mice did better in various tests (including a maze test) than the mice who did not have the apples. While you can’t replace your toothbrush with just an apple, apples can help you get healthier and whiter teeth. The chewing and biting of the apple can reduce tooth decay through the lowering of the level of bacteria in the mouth because eating an apple will stimulate saliva production in your mouth. Did you know that those who eat a diet that contains a good portion of foods that are high in fiber will gain an amount of extra protection against Parkinson’s disease? Parkinson’s is a disease that breaks down the dopamine producing cells in the brain. Scientists have been able to link apples and the apparent protection against Parkinson’s disease to the radical fighting power of the antioxidants from the apples.